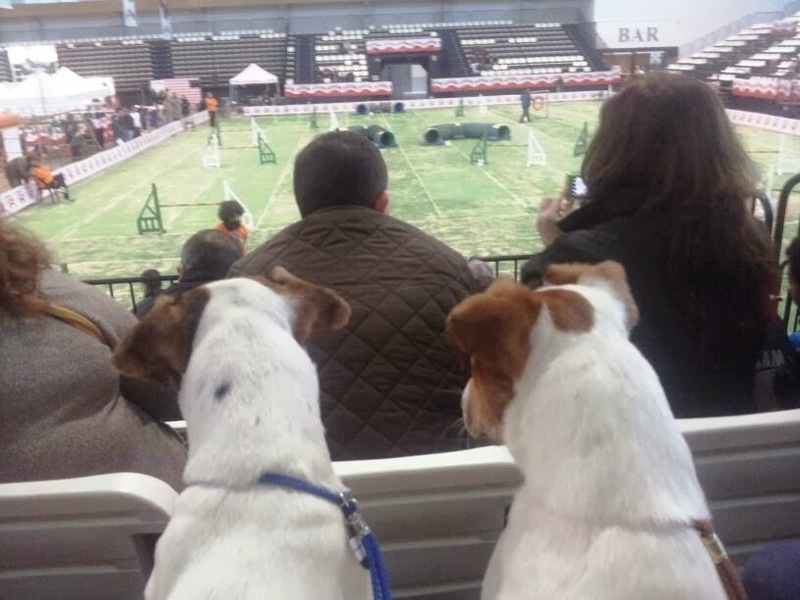 El pasado fin de semana tuvo lugar en el IFEVI de Vigo la 68 y 69 Exposición Nacional canina C.A.C y la 29 Exposición Internacional Canina C.A.C.I.B. 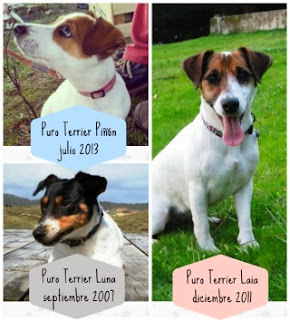 El año pasado también asistimos y Luna pudo darse una vuelta por allí, conociendo a otros Jack Russell Terriers y a muchos otros perros, como podéis ver en el post de la crónica y en el post de las diferentes razas. Este año le tocó el turno a Piñón, que fue acompañado por su "prima" Laia. Ambos se dedicaron a observar muy atentos desde la grada las pruebas de Agility selectivas para el campeonato del Mundo. En ella participó el profesor de agility de Laia, que quedó en las primeras posiciones. Quién sabe si el próximo año será ella una de las participantes... ¡Seguro que sí! 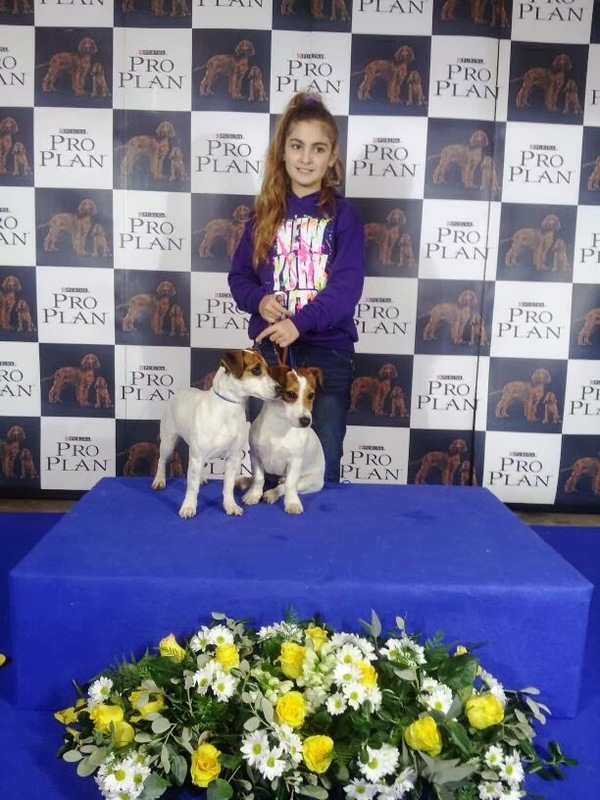 Last weekend took place at the fairground of Vigo the 68th and 69th National Dog Show CAC and 29th CACIB International Dog Show. 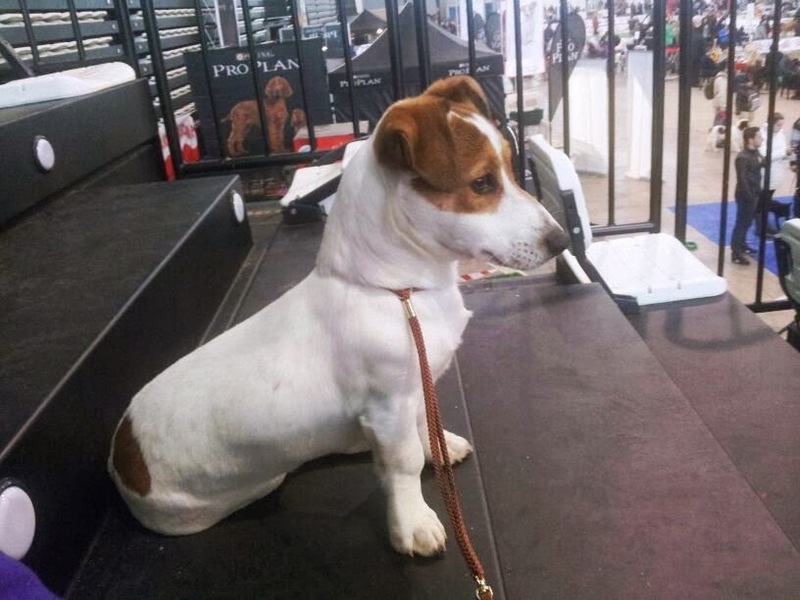 Last year we also attended and Luna we could walk around there, meeting other Jack Russell Terriers and many other dogs, as you can see in the chronic post and in the post of the different races. This year it was the turn of Piñon, who was accompanied by his "cousin" Laia. 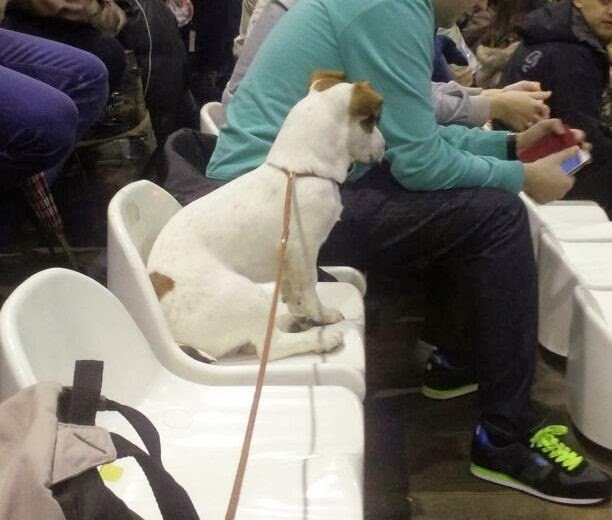 Both were devoted to watching from the stands evidence for selective Agility World Championship. Laia's agility teacher participated, who was at the top of classification. Who knows if next year she will be one of the participants... Sure she does!